An afternoon seminar entitled The Importance of Reading in the 21st Century, led by Christopher Gritton on April 12th, 2016. A 40-hour language improvement course for teachers held from January through June 2016. 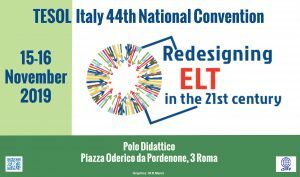 6 – A TESOL Day entitled Merging Minds with Silvana Ranzoli and Liliana Landolfi. View Flyer and Poster here. 3 – A TESOL Day entitled Using Brain Research to Enhance and Energize Language Instruction led by Dr. Janet Zadina, Ph.D. View Flyer and Poster here.